We’re a digital marketing and business development firm located in Accra, Ghana. We strive on delivering exceptional work for our customers. We have been running our operations for some time now and have been successful in both the local and international markets. 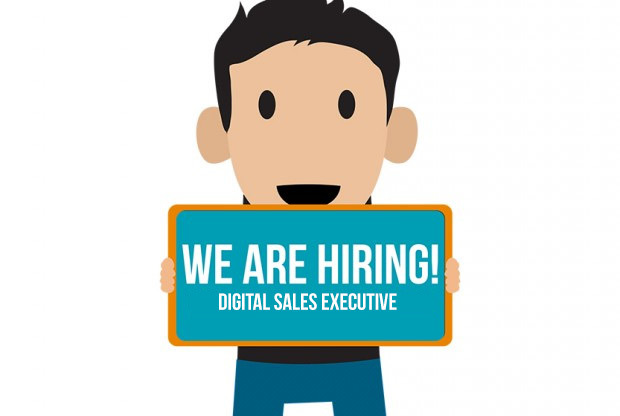 Currently Think Expand Limited is looking for bright and creative Digital Marketing Executive who loves to have a good experience selling premium digital marketing and web design solutions to businesses, companies and non-profit organizations across the length and breadth of Ghana…and across Africa. The individual must be proactive in generating and closing his own sales leads. We love challenges here at Think Expand and we need a marketing person who can thrive under pressure, supporting our marketing campaigns and smash our sales targets. Calling and emailing SMEs and corporate businesses in the Accra or any part of Ghana to show the value of Think Expand’s Web design & digital marketing services, such as Business Blogging, Social Media Marketing, Search Engine Optimization etc. Researching, prospecting, marketing, cold-calling, presenting, and closing. We want people who have the ability to take full ownership of the sales/marketing cycle in their territory up to close. Execute sales tactics, implement marketing strategies and deliver effective sales presentations with passion, and consistently asks for the business. Results oriented individual who strategically pursues business with energy and drive. Able to work with little to no supervision. A great work environment – it’s never boring here! Surprising Bonuses—we believe and love excellence and we reward you for achieving your targets, goals and objectives. To apply for this role, email info@expandgh.com with your CV and cover letter. Think Expand Ltd is a leading local SEO & Content Marketing Agency focused on helping businesses and organization harness digital technology to grow and expand their brand! We leverage web analytics, blogging, SEO, social media and copywriting to grow business brands, strengthen customer relationships and promote business growth. So, What Is A Brand? © Copyright 2018 Think Expand Limited. All Rights Reserved.